CSS 2.1, CSS 3 support. 1.The user interface – this includes the address bar, back/forward button, bookmarking menu etc. Every part of the browser display except the main window where you see the requested page. 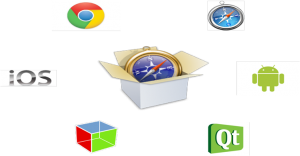 2.The browser engine – the interface for querying and manipulating the rendering engine. 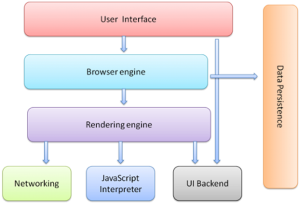 3.The rendering engine – responsible for displaying the requested content. For example if the requested content is HTML, it is responsible for parsing the HTML and CSS and displaying the parsed content on screen. 4.Networking – used for network calls, like HTTP requests. It has platform independent interface and underneath implementations for each platform. 5.UI backend – used for drawing basic widgets like combo boxes and windows. It exposes a generic interface that is not platform specific. Underneath it uses the operating system user interface methods. After the construction of the render tree it goes through a “layout” process. This means giving each node the exact coordinates where it should appear on the screen. The next stage is painting – the render tree will be traversed and each node will be painted. Renderers are created through a process on the DOM called attachment. As a document is parsed and DOM nodes are added, a method called attach gets called on the DOM nodes to create the renderers. For better user experience, the rendering engine will try to display contents on the screen as soon as possible. It will not wait until all HTML is parsed before starting to build and layout the render tree. Parts of the content will be parsed and displayed, while the process continues with the rest of the contents that keeps coming from the network. 1.A global style change that affects all renderers, like a font size change. Incremental layout is triggered (asynchronously) when new renderers are appended to the render tree after extra content came from the network and was added to the DOM tree. 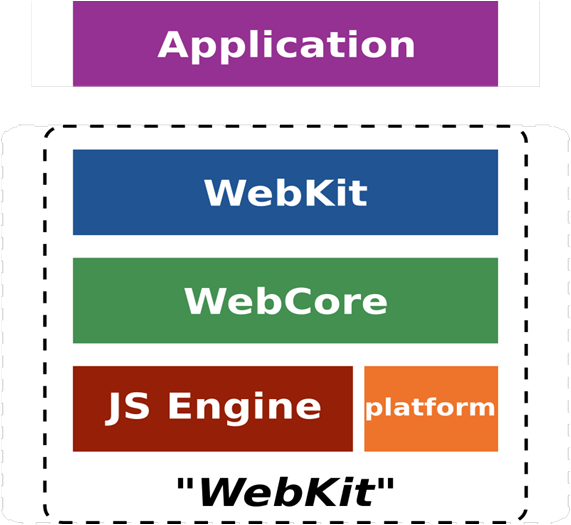 WebKit:WebKit is not only the name of the entire project, it is also the name of the component that’s used by browsers and other applications.This is Interface between rendering engine and embedding application. WebCore:The part of the system responsible for layout is WebCore.It contains application logic for loading , parsing,layout,style resolution,painting , event handling etc. All of these are built on top of WTF (Web Template Framework), which is a utility library containing things like common data structures and threading primitives. 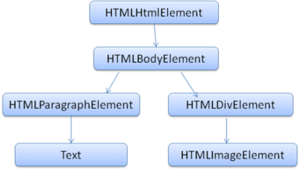 HTML documents can be nested using frames in a frameset. 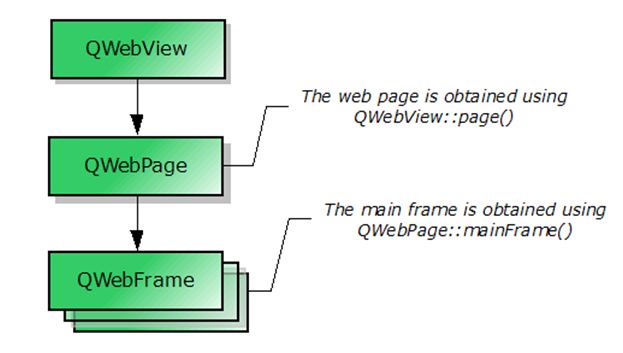 An individual frame in HTML is represented using the QWebFrame class. 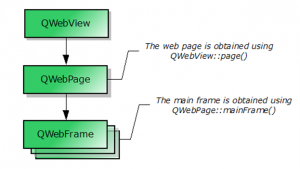 Each QWebPage has one QWebFrame object as its main frame,and the main frame may contain many child frames. Registering Plug-ins – Decide the mime(Multipurpose Internet Mail Extensions ) type. 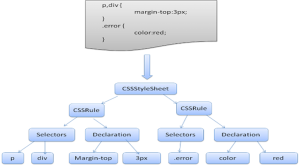 Using HTML to Display Plug-ins – Create an HTML page and embed the plugin in it. 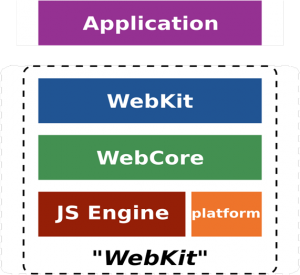 Plug-in methods are functions that you implement in the plug-in; Webkit calls these functions. The names of all the plug-in functions in the API begin with NPP_, for example, NPP_New. 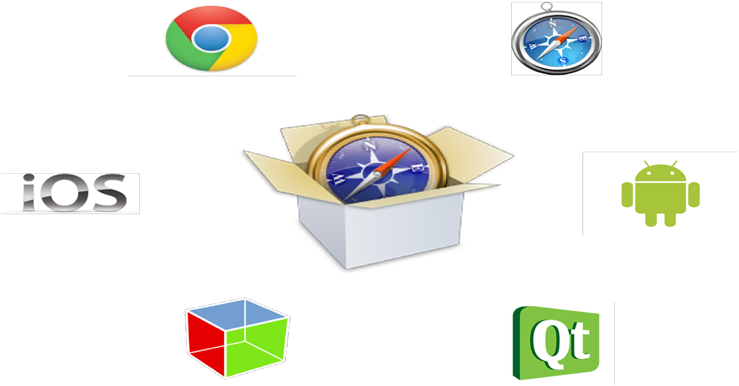 Browser methods are functions implemented by Gecko; the plug-in calls these functions. The names of all the browser functions in the API begin with NPN_, for example, NPN_Write. Data structures are plug-in-specific types defined for use in the Plug-in API. The names of structures begin with NP, for example, NPWindow. A windowed plug-in is drawn into its own native window on a web page. Windowed plug-ins are opaque and always come to the top HTML section of a web page. A windowless plug-in need not be drawn in a native window; it is drawn in its own drawing target. Windowless plug-ins can be opaque or transparent, and can be invoked in HTML sections. The way plug-ins are displayed on the web page is determined by the HTML element that invokes them. To enable plugin support, the user must have the appropriate binary files for those plugins installed and the QWebSettings::PluginsEnabled attribute must be enabled for the application. WebGL will load, compile and link the shaders, setup vertex buffer objects to hold the shapes, and setup the variables and Uniforms to be passed into the shaders. Browser. There’s only one browser process, which manages the tabs, windows. This process also handles all interactions with the disk, network, user input, and display, but it makes no attempt to parse or render any content from the web. Each renderer process is run in a sandbox, which means it has almost no direct access to your disk, network, or display. 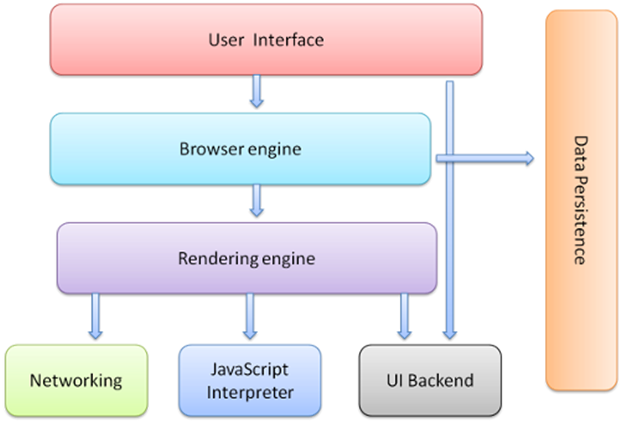 All interactions with web apps, including user input events and screen painting, must go through the browser process. This lets the browser process monitor the renderers for suspicious activity, killing them if it suspects an exploit has occurred. 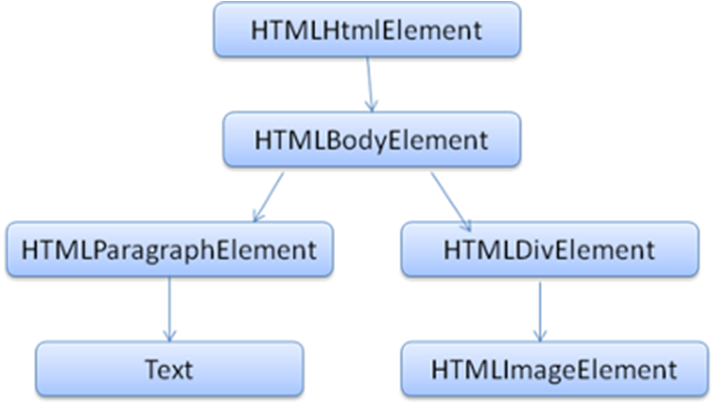 To make HTML video work in your site, the following lines should be sufficient. Canvas has several methods for drawing paths, boxes, circles, characters, and adding images.